Serving customers throughout the United States, Eakas has built a solid reputation as a Tier 1 supplier to automotive manufacturers. Our goal is to become your preferred supplier by providing valuable services from design to delivery. 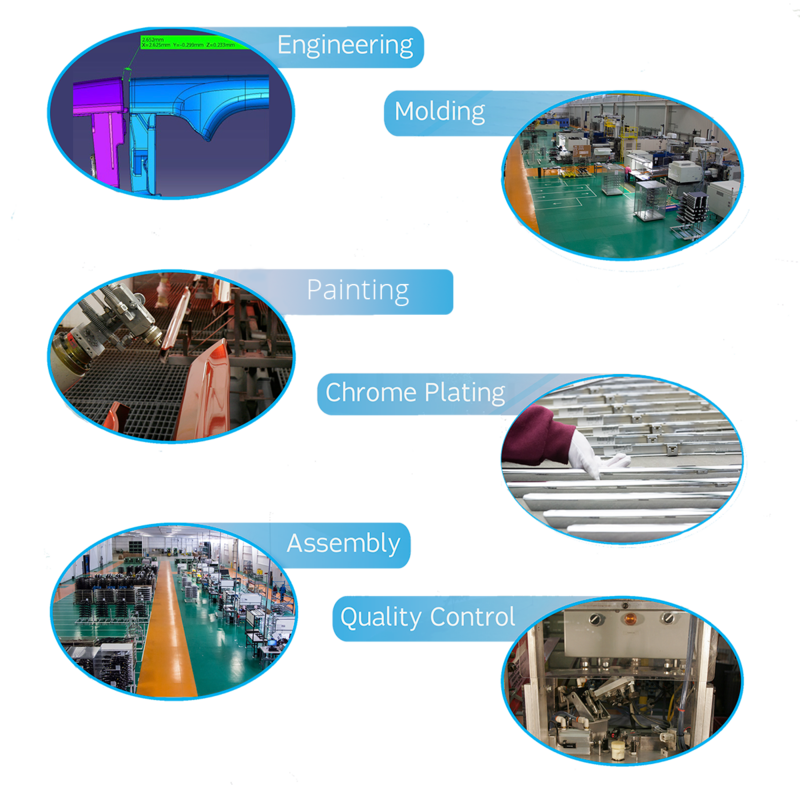 We offer engineering, injection molding, painting, plating, assembly, and testing to ensure consistent quality-all under one roof, saving time and money. Among the many products we create are outside and inside door handles, side cladding, air dams, body side moldings, rear-panel garnishes, bumper fascias, delta and tweeter covers, chrome-plated wheel covers, A/T shifter assemblies, power-heated outside rearview mirror assemblies, and front grille assemblies. Our management and employees are dedicated to meeting our customers’ expectations by providing quality products and services-delivered on time and at competitive prices. Our measure of success is the complete and consistent satisfaction of our customers.